Ercolano, Italy – After an amazing day exploring the ruins of Pompeii, the obvious next stop was the fiery mountain itself. 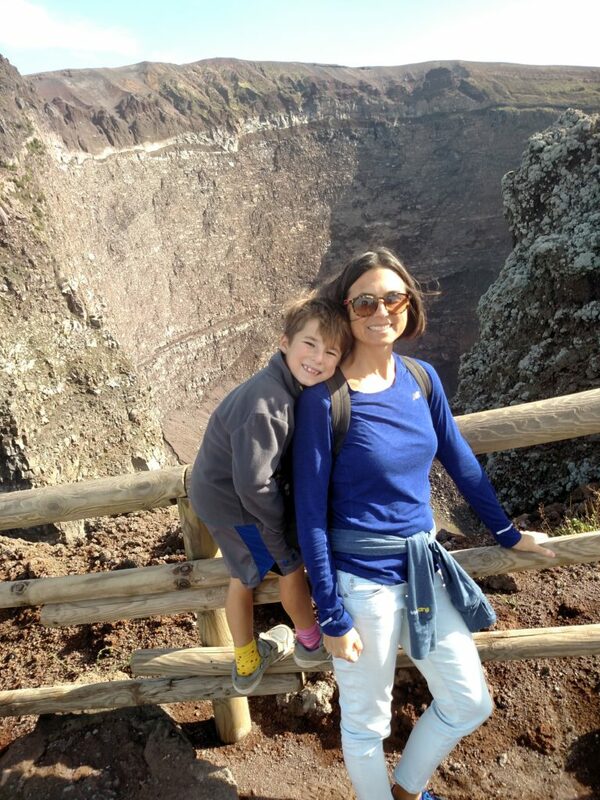 And so we ascended the infamous Mount Vesuvius (mostly by bus, but also on foot) to peek into the steaming crater. The hike was invigorating. The views were spectacular. The twins would have liked to see a little bit more activity from the volcano itself. (They kept throwing rocks into the crater to see if they could set it off.) But everyone agreed, it was very cool to see the source of the destruction, still smoking.